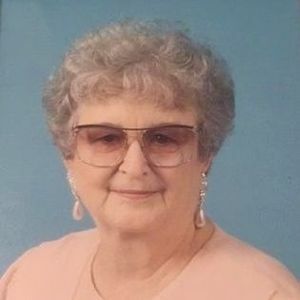 Lucy Lee Herman, 91, of North Charleston, SC, entered into eternal rest Monday, January 7, 2019. Her Funeral Service will be held Saturday, January 19, 2019 in the J. Henry Stuhr, Inc., Northwoods Chapel, 2180 Greenridge Road at 10 am. Interment, Carolina Memorial Park. The family will receive friends Saturday one hour prior to the service. Lucy was born February 21, 1927 in Two Rivers, WI, one of two children of the late Bethel Drew and Ida Marie Grenier Drew. During her adult life, she worked as the Secretary to the Fire Chief, Charleston Naval Shipyard and then as a Production Controller with SUPSHIP Charleston Naval Shipyard. She retired in June, 1989. She kept herself busy in a variety of activities. She was a member of the VFW Ladies Auxiliary Post 3142 and was a past District President. She also enjoyed demonstrating her speaking abilities through Toastmistress. Teaching her ladies Sunday School Class at Deer Park Baptist Church was one of her most cherished and rewarding weekly activities. She enjoyed her weekly bowling league, cross stitch and singing while playing her organ. On May 28, 1955, she married Robert "Bob" Herman and settled in North Charleston, SC after his retirement from the USMC in 1965. She is survived by her three sons, John Herman, Robert (Renae) Herman of Bremerton, WA and Paul (Sarah) Herman, Sr. of North Charleston, SC; her seven grandchildren include Amanda Hurlburt, Erika Herman, Paul Herman Jr., Matthew Herman, Marc Herman, Stephen McLeod and Houston Baugh and three great-grandchildren. She was preceded in death by her parents, husband, brother, Delmer Drew and her stepfather, Anton A. Markus. Sincere condolences to Lucy's family. . I worked closely with her at SUPSHIP. She was a joy to work with. My thoughts and prayers are with you during this difficult time. Soar high with the angels my friend! We wish to extend our sincere condolences to the Herman Family. We appreciate the loss of a Mother to the family and the passing of one generation. Mrs. Herman was a valued member of the SUPSHIP Charleston Team and will be missed. Life Stories provides friends and families a forum to post their favorite stories and memories of Lucy Lee Herman ensuring the precious experiences are never forgotten. Share joyful times, post a photo that captures the moments you cherish, and allow others to reply, relive and remember.